Housmile Professional portable cosmetics and medical fridge, a perfect companion for travelers who need to bring along prescribed cosmetics and medications. Many cosmetics and medications are temperature-sensitive, and must be stored in specific conditions to maintain their effectiveness. Double Box Design:Different temperature cold storage box suitable for different cosmetics,when you need take cosmetics from here is so easily to distinguish. 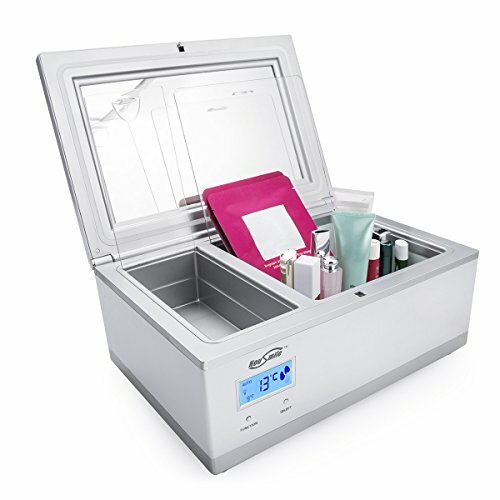 Professional Cosmetics Cooler:Great LCD and LED backlit display make it easy for you to operate,fashion and generous. High Efficiency and Ultra Low Noise: It adopts the technology of electronic constant temperature control,you can set the temperature depend on the need of cosmetic or medicine. Essential Companion for Female: Housmile cosmetic refrigerator keeps cosmetics' active ingredients in hot weather to prevent bacterial infections, making you attractive and charming anywhere anytime. If you have any questions about this product by Housmile, contact us by completing and submitting the form below. If you are looking for a specif part number, please include it with your message.